2017 was a stellar year for Atlanta in terms of job growth and economic activity. The federal tax cuts combined with Georgia’s business-friendly policies have been a huge plus for Atlanta. Metro Atlanta ended the year with 2.79 million jobs, making it one of the best performing regions in the entire country last year. With nearly all the key indicators trending in the right direction, the city is poised for a year of steady growth in 2018 as well. The metro area added a total of 55,600 jobs in 2017, accounting for two-thirds of the employment opportunities generated in Georgia last year. Professional and business services industry topped the chart by adding 16,200 jobs, followed by education and health services industry which added 13,300 jobs. Hospitality industry added 7,100 jobs, making it the third-best performing industry in the region last year. Atlanta’s hotel market witnessed a steady rate of growth in 2017 and the average room rate went up by 3.8%. While this is down from the 6% increase in hotel room rates the previous year, partly due to inadequate supply, hoteliers believe that the industry will pick up pace in 2018 and continue to strive for new heights. The situation, according to industry insiders, is likely to change now as more and more debt funds are venturing into the construction financing sector and contractors should no longer have any difficulty in getting funds for their projects. Hotel owners believe that the low cost of gasoline could play a key role in the growth of the hospitality sector in the city in the coming years. With the price per gallon hovering under $3, more people are willing to drive to Atlanta from neighboring cities. Thanks to cheap gasoline, air travel has also become more affordable, since fuel is the second largest expense for airlines after salaries. So, many hotel owners are of the opinion that the influx of seasonal tourists is likely to increase in the near future and the industry will have to expand its footprint to cater to their needs. Atlanta has become an IT hub and is home to a large number of corporate offices as well. 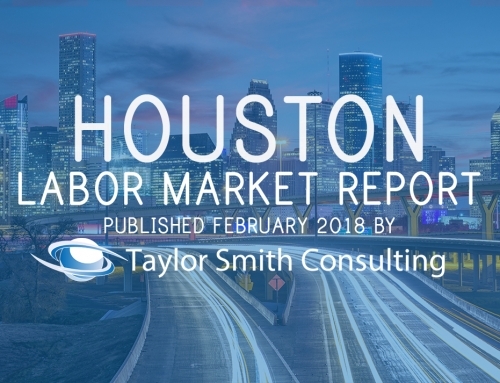 The city has a relatively lower cost of living compared to many other metro regions in the country and has a large, highly skilled labor force. 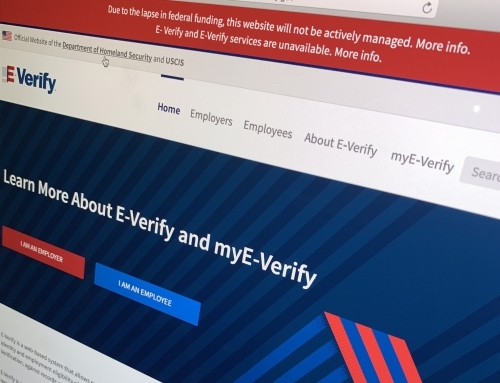 So, a large number of businesses are expanding their presence and many corporations are opening up a branch in the city or moving their headquarters here. In the first three months of 2018, 840,000 square feet of office space has been occupied, which goes to show just how in-demand the city is. 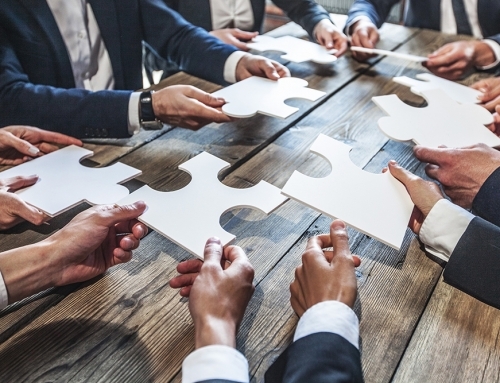 The rapid growth in tech and corporate sectors mean more business meetings, more conventions, and more corporate and social events, to cater to which the hotel industry will have to step up its game. Education and health services super sector was the largest employment generator in the city between February 2017 and February 2018 – with 12,900 jobs. The hospitality industry was in second place with 11,200 jobs – a 4% increase from last year. 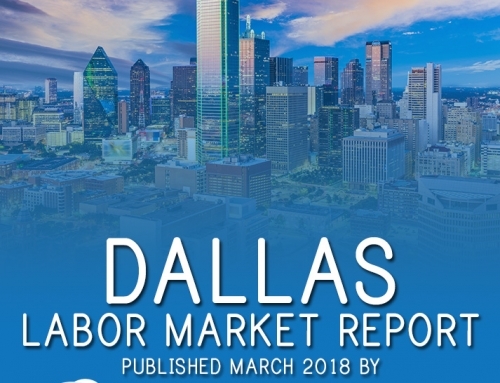 Nationwide employment figures in the leisure and hospitality industry increased only by 2% during the same time period, which goes to show that Atlanta’s growth is driven by regional factors and a strong local economy. The rate of unemployment in the city was 4.9% in February 2018 – down from 5.6% in February 2017. 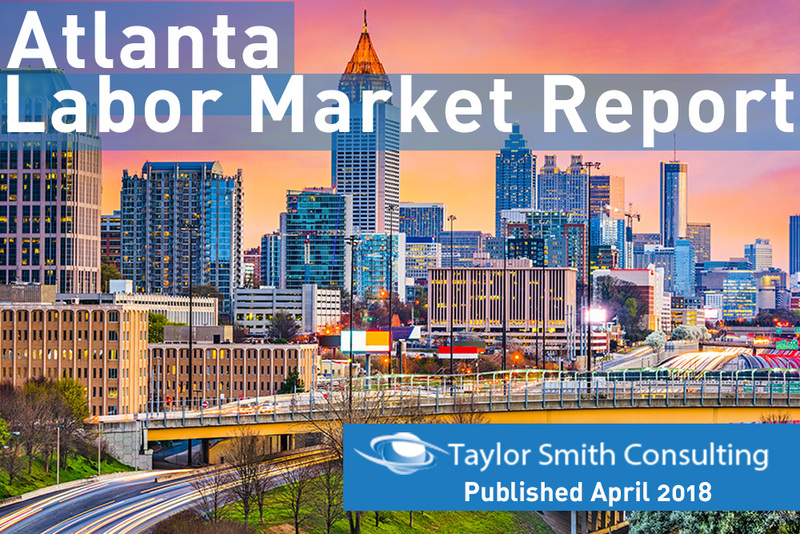 The total number of employed residents in the Atlanta area in February 2018 was 2.97 million – an increase of 116,029 employed residents compared to the previous year, with 46,862 being added in the month of February alone. Given here is a table of unemployment figures in the state over the past 14 months. It is noteworthy that the unemployment rates in the period September 2017 to February 2018 have been significantly and consistently lower than the rates in the period January 2017 to August 2017. There are a large number of modestly-paying jobs available in other sectors as well. So the city continues to attract people with different types of skills, educational qualifications, and backgrounds. The availability of skilled labor, relatively affordable housing, and business-friendly political climate make Atlanta a favorable destination for a number of businesses including T-Mobile, AIG, Goodyear, Starbucks, Honeywell, Colonial Pipeline, and many more. Also, many believe that the migration of qualified professionals from California, New York, and other such high-tax states (and expensive and struggling northeast cities that are not that business friendly) to places like Atlanta is also likely to continue for the foreseeable future. A combination of all these factors makes Atlanta one of the top destinations in the country for businesses and job seekers alike.